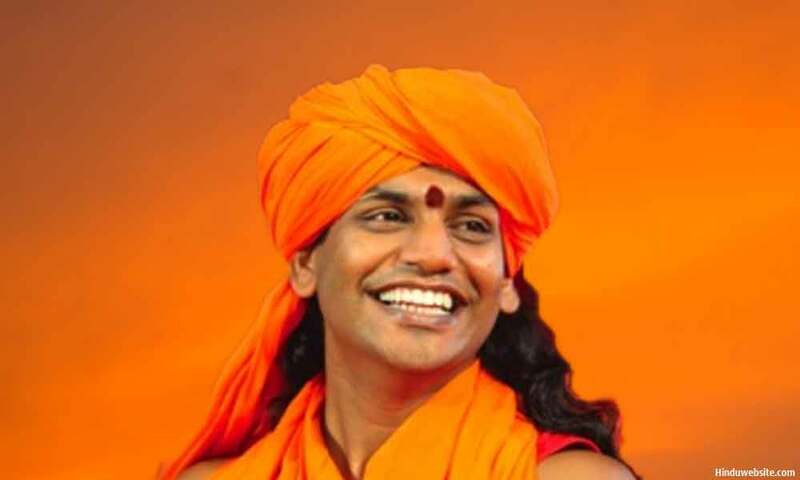 Sometime ago, Swami Nityananda was allegedly caught on a video engaging in sexual acts. We do not know clearly what happened, whether the video was genuine and whether what was shown in the video was a conspiracy or fact. However, we know that in the embodied state, souls are subject to certain limitations and temptations of the flesh, and even the most advanced souls may not completely escape from its tight hold. Human beings can be spiritual and enlightened, yet may possess weaknesses due to past karma. Some weaknesses are tolerated by society such as smoking or drinking and some are scorned. When you are in a spiritual mode, you are in a serious confrontation with Nature and trying to transcend it. It is like swimming against the tide. Being an automaton, Nature works tirelessly to enforce its laws against which people do not always succeed. The mortal world is a trap and even the most advanced souls may fail and falter. Those who judge people harshly should do introspection and contemplate upon their imperfections. In certain sects of Shaivism, it is believed that when you criticize people, your good karma passes on to them, and their sinful karma is transferred to you. Therefore, the ascetics in those sects deliberately engage in antisocial behavior to attract good karma. This is not to suggest Swami Nityananda was engaged in a similar practice at the time of the alleged incidence. He was supposed to be liberated and free from both good and sinful karma. There are also certain issues, which Swami Nityananda failed to answer clearly or consistently. It is where we would like to focus this discussion and draw his attention. What happened in his case was not an allegation or a rumor, but a visual presentation of very private and intimate scenes in graphic detail. What we saw would remain in the memory of people for a very long time to come. No evidence came forth to prove convincingly that what was shown in those videos was fabricated or false. The swami said they were fabricated, but he did not explain where and what exactly was fabricated and which part of the videos were true and which were not. He did not explain clearly and convincingly why and under what circumstance he allowed himself to be in those situations, which led to the controversy. The swami further claimed that he was in a trance. To those who watched the videos, he did not appear to be in trance and he did not show any signs of being in a trance. People could see he was wide awake, at times watching the TV and at times reading some book, and at other times simply gazing into the people who were serving him. He did look tired and sick at times but not in trance. He did look uncomfortable and lost in the presence of the women, but he was not entirely unresponsive or inattentive. The swami ought to explain his actions when they were present, and what made him cross the line of decorum. If he were in trance, he should let the world know what type of trance it was. Was it sabija or nirbija, savikalpa or nirvikalpa? Was he aware of himself or utterly and totally lost? Is he saying that it was all the fault of the women who were serving him? Secondly, he said he was experimenting. He did not clearly explain what spiritual or occult experiments he was conducting and who gave him the right to experiment (play) with the lives of poor women whose names were tarnished forever? Now, experiments are for ordinary people, who are ignorant and who want to ascertain truths or test their hypotheses through experiments. The swami is known to be an enlightened person, a knower of truth. He is even worshipped by some as a deity. Therefore, if the swami claims that he was experimenting, it logically follows that he does not know truth and he is not enlightened to the extent his followers want others to believe. If he is prone to experiments, then he has no right to guide people because only a knowledgeable and enlightened master can guide people, not those who are still experimenting with truth or learning the truths of existence. Thirdly, the swami did not show any signs of repentance or remorse. He was appalled by the vitriol and shocked by the reaction people showed, but failed to accept any responsibility for what happened. Instead, he tried to defend himself and protect his image, which is against the spiritual tenets of Hinduism and which goes to prove that he was still attached to certain aspects of his present existence. In several statements, he presented himself as a victim of a big conspiracy by groups who were opposed to Hinduism, which may be even true but failed to show any concrete proof. He also failed to show compassion or apologize to his followers for knowingly or unknowingly letting them down. Many of his followers were completely shattered by what they saw. It may take years before their faith in Hindu spiritual gurus fully recovers. Finally, in one of his speeches, which is available on the YouTube, the swami claimed himself as having a clairvoyant vision and the ability to see things in 360 degrees. In the same video, he narrated how he was able to know what was happening behind his back, without even turning his head. It makes one wonder if he were so enlightened and endowed with clairvoyance and other psychic abilities, how he failed to see the hidden cameras in his room so many times and let any recordings happen. He could have also read the minds of the people who were plotting against him for so long. Probably God played a major trick upon him, and his witness consciousness was lost amid distractions. We believe the swami has been a spokesperson for Hinduism. He has been heard and respected by millions of Hindus. He still has many followers who believe in him. Therefore, he has a responsibility to restore the faith, which people lost in their religion because of what happened. Even if we assume that there was a conspiracy against him or against Hinduism, the swami allowed it to happen in no small way. He ought to have been careful and shown exemplary character, knowing that people were plotting against him. He has a responsibility towards all those who were disturbed by the whole experience, and whose faith in the religion and the ideals was thoroughly shaken. It is not important whether the swami will be able to gain respect among people. If he is a true sanyasi (renunciant), he would not and should not care. A person who lectures the world on the modifications of the mind ought to know the importance of equanimity and detachment. Is not sameness a virtue in Hinduism? Therefore, instead of trying to defend himself or blame others, he should spend the rest of his life serving the very people whose faith he damaged, in some cases beyond repair. He must forgive those who hurt him or conspired against him and accept personal responsibility for what happened. Lastly, he should clarify and clear the position of the women whom he indirectly implicated claiming that he was innocent and in trance while they did what they did. Image Attribution:The image of Swami Nityananda shown above is licensed under the Creative Commons Attribution 3.0 Unported license.